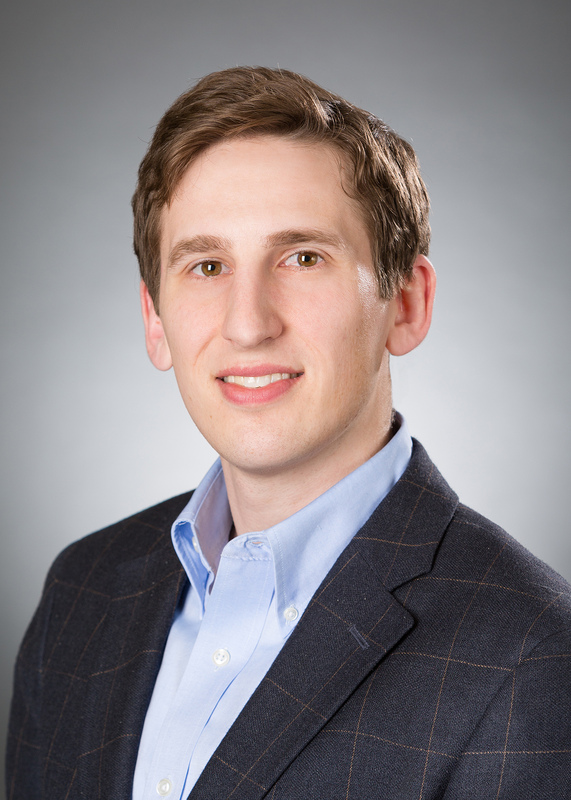 Brent is a senior research fellow with the Technology Policy Program at the Mercatus Center at GMU. He has an economics degree from Wheaton College and a law degree from George Mason University. Opinions are his own. 5G networks will look very different from today’s 4G deployments. 5G will involve the addition of hundreds of thousands of new, small-scale facilities with antennas no larger than a small backpack. Currently, wireless companies don’t have many good options when it comes to placing these lower-power, higher-bandwidth “small cells.” They typically install small cells and 5G transmitters on public rights-of-way and on utility poles, but there may not be room on poles and attachment fees might be high. One thing the FCC might consider to stimulate 5G and small cell investment is to dust off its 20 year-old over-the-air-reception-device (OTARD) rules. These little-known rules protect homeowners and renters from unwarranted regulation of TV and broadband antennas placed on their property. If liberalized, the OTARD rules would open up tens of millions of other potential small cell sites–on rooftops, on balconies, and in open fields and backyards around the country. In the early 1990s, cities and homeowner associations would sometimes prohibit, charge for, or regulate satellite dishes that homeowners or renters installed on their rooftops or balconies. Lawmakers saw a problem and wanted to jumpstart competition in television (cities had authorized cable TV monopolies for decades and cable had over 95% of the pay-TV market). impair a viewer’s ability to receive video programming services through devices designed for over-the-air reception of television broadcast signals, multichannel multipoint distribution service [MMDS], or direct broadcast satellite services. With these congressional instructions, the FCC created its OTARD rules, informally known as the “pizza box rule.” Briefly stated, if your TV antenna, satellite TV receiver, or “fixed wireless” antenna is smaller than a large pizza (1 meter diameter–no cell towers in front yards), you are free to install the necessary equipment on property you control, like a yard or balcony. (There are some exceptions for safety issues and historical buildings.) The 1996 law expressly protects MMDS (now called “broadband radio service”), which includes spectrum in the 2.1 GHz, 2.5 GHz, 2.6 GHz, 28 GHz, 29 GHz, and 31 GHz bands. The Clinton FCC expanded the rules to protect, broadly, any antennas that “receive or transmit fixed wireless signals.” You can even install a mast with an antenna that extends up to 12 feet above your roofline. The rules protect fixed wireless antennas and could see new life in the 5G world. Carriers are building small cells and fixed wireless primarily to provide faster broadband and “mobile TV” services. Millions of Americans now view their cable and Netflix content on mobile devices and carriers are starting to test mobile-focused pay-TV services. AT&T has Watch TV, T-Mobile is expected to deploy a mobile TV service soon because of its Layer3 acquisition, and reporting suggests that Verizon is approaching YouTube TV and Apple to supply TV for its 5G service. The FCC’s current interpretation of its OTARD rules doesn’t help 5G and small cell deployment all that much, even though the antennas are small and they transmit TV services. The actual rules don’t say this but the FCC’s interpretation is that their OTARD protections don’t protect antenna “hubs” (one-to-many transmitters like small cells). The FCC liberalized this interpretation in its Massport proceeding and allowed hub one-to-many transmitters [Correction, via Connor at the FCC: the FCC liberalized to say that one-to-many transmitters are permitted, not hub antennas.] but did not extend this interpretation for homeowners’ antennas. In short, under the current interpretation, cities and HOAs can regulate, charge for, and prohibit the installation of 5G and small cells on private property. The FCC should consider expanding its rules to protect the installation of (low power) 5G and small cell hubs on private property. This would directly improve, per the statute, “viewers’ ability to receive video programming services” via wireless. It would have the ancillary effect of improving other wireless services. The prospect of installing small cells on private property, even temporarily, should temper the fees carriers are charged to use the public rights-of-way and poles. In rural areas, the FCC might also consider modifying the rules to allow masts that extend beyond 12 feet above the roofline. Transmitters even a few feet taller would improve wireless backhaul and coverage to nearby homes, thus increasing rural broadband deployment and IP-based television services. OTARD reform is especially timely today because the Wheeler and Pai FCCs have freed up several bands of spectrum and fixed wireless is surging. Fixed wireless and mesh network providers using CBRS and other spectrum bands could benefit from more installation sites, particularly in rural areas. C Spire, for instance, is creating “hub homes” for fixed wireless, and Starry and Rise Broadband are expanding their service areas. CableLabs is working on upgrading cable networks for mobile and 5G backhaul and cable operators might benefit from OTARD reform and more outside infrastructure. The Federal Communications Commission has consistently maintained that it has the ultimate responsibility to determine whether the public interest would be served by construction of any specific antenna tower. The future of wireless services is densification–putting fiber and small cells all over downtowns and neighborhoods in order to increase broadband capacity for cutting-edge services, like smart glasses for the blind and remote-controlled passenger cars. The OTARD rules and the FCC’s authority over wireless antennas provides another tool to improve wireless coverage and TV services. Who cares about utility poles? Broadband users should. “Access regulations”–like must-carry of broadcast TV, net neutrality, and telecom network unbundling–are always controversial and frequently fail. However, in my view, one-touch-make-ready is an example of useful access regulation and I think it’s likely to succeed at its aims–more broadband competition and investment. Pole access appears to be, using former FCC chief economist Jerry Faulhaber’s phrase, an efficient market boundary. FCC pole access mandates are feasible because the “interface”–physical wires and poles–is relatively simple and regulatory compliance–did the entrant damage existing users? did they provide notice?–is pretty easy to ascertain. Typically, visual inspection will reveal damage and the liable party is usually obvious. put the parties most interested in efficient broadband deployment—new attachers—in a position to control the survey and make-ready processes. Reasonable people (even on the free-market side) will disagree about how to regulate utility pole access. One-touch-make-ready was a controversial proposal and commercial operators have been divided on the issue. In the end, it was not unanimous but the BDAC reached large consensus on the issue. In my view, the FCC struck the right balance in protecting existing companies’ equipment and promoting infrastructure construction and competitive entry. Some utility pole basics: Utility poles are often owned by a phone company, a utility company, or a city. At the top of utility poles are electric lines. (The FCC is not talking about doing work near the electric lines on top, which is trickier and more dangerous for obvious reasons.) The rule changes here affect the “communications space,” which is midway up the poles and typically has one or several copper, coaxial, or fiber lines strung across. For decades, the “market” for communications space access was highly regulated but stable. National and local policy encouraged monopoly phone service and cable TV provision and, therefore, entrants rarely sought access to string up lines on utility poles. In the 1990s, however, phone and cable was deregulated and competition became national policy. In the last ten years, as the price of fiber broadband provision has fallen and consumer demand for competitive broadband options has increased, new companies–notably Google Fiber–have needed access to utility poles. The FCC notes in its proposed order that, going forward, “small cell” and 5G deployments will benefit from competitive, lower-cost fiber providers. The pre-2018 approach to pole attachments, wherein many parties had effective veto rights over new entrants, was creating too many backlogs and discouraging competitive providers from making the investments necessary. The FCC’s proposed rules streamline the process by creating tighter deadlines for other parties to respond to new entrants. The rules also give new entrants new privileges and greater control in constructing new lines and equipment, so long as they notify existing users and don’t damage existing lines. I’m pleased to see that the Broadband Deployment Advisory Committee’s recommendations are proving useful to the agency. It’s encouraging that this FCC, by taking a weed-whacker to legacy policies regarding spectrum, pole access, and net neutrality, is taking steps to improve broadband in America. *I’m the vice chair of the Competitive Access working group. Lawmakers frequently hear impressive-sounding stats about net neutrality like “83% of voters support keeping FCC’s net neutrality rules.” This 83% number (and similar “75% of Republicans support the rules”) is based on a survey from the Program for Public Consultation released in December 2017, right before the FCC voted to repeal the 2015 Internet regulations. These numbers should be treated with skepticism. This survey generates these high approval numbers by asking about net neutrality “rules” found nowhere in the 2015 Open Internet Order. The released survey does not ask about the substance of the Order, like the Title II classification, government price controls online, or the FCC’s newly-created authority to approve of and disapprove of new Internet services. provide customers access to all websites on the internet. provide equal access to all websites without giving any websites faster or slower download speeds. Let’s break down these rules ostensibly found in the 2015 Order. Again, wrong. There is no “equal access to all websites” mandate (see above). Further, the 2015 Order allows ISPs to prioritize certain Internet traffic because preventing prioritization online would break Internet services. Other experts, such as tech entrepreneur and investor Mark Cuban and President Obama’s former chief technology officer Aneesh Chopra, have observed that the need for Internet “fast lanes” as Internet services grow more diverse. Further, the nature of interconnection agreements and content delivery networks mean that some websites pay for and receive better service than others. This is not to say the Order is toothless. It authorizes government price controls and invents a vague “general conduct standard” that gives the agency broad authority to reject, favor, and restrict new Internet services. The survey, however, declined to ask members of the public about the substance of the 2015 rules and instead asked about support for net neutrality slogans that have only a tenuous relationship with the actual rules. “Net neutrality” has always been about giving the FCC, the US media regulator, vast authority to regulate the Internet. In doing so, the 2015 Order rejects the 20-year policy of the United States, codified in law, that the Internet and Internet services should be “unfettered by Federal or State regulation.” The US tech and telecom sector thrived before 2015 and the 2017 repeal of the 2015 rules will reinstate, fortunately, that light-touch regulatory regime. Mobile broadband is a tough business in the US. There are four national carriers–Verizon, AT&T, T-Mobile, and Sprint–but since about 2011, mergers have been contemplated (and attempted, but blocked). Recently, the competition has gotten fiercer. The higher data buckets and unlimited data plans have been great for consumers. The FCC’s latest mobile competition report, citing UBS data, says that industry ARPU (basically, monthly revenue per subscriber), which had been pretty stable since 1998, declined significantly from 2013 to 2016 from about $46 to about $36. These revenue pressures seemed to fall hardest on Sprint, who in February, issued $1.5 billion of “junk bonds” to help fund its network investments. Analysts pointed out in 2016 that “Sprint has not reported full-year net profits since 2006.” Further, mobile TV watching is becoming a bigger business. AT&T and Verizon both plan to offer a TV bundle to their wireless customers this year, and T-Mobile’s purchase of Layer3 indicates an interest in offering a mobile TV service. It’s these trends that probably pushed T-Mobile and Sprint to announce yesterday their intention to merge. All eyes will be on the DOJ and the FCC as their competition divisions consider whether to approve the merger. Merger opponents’ primary argument is what’s been raised several times since the 2011 AT&T-T-Mobile aborted merger: this “4 to 3” merger significantly raises the prospect of “tacit collusion.” After the merger, the story goes, the 3 remaining mobile carriers won’t work as hard to lower prices or improve services. While outright collusion on prices is illegal, they have a point that tacit collusion is more difficult for regulators to prove, to prevent, and to prosecute. The counterargument, that T-Mobile and Sprint are already making, is that “mobile” is not a distinct market anymore–technologies and services are converging. Therefore, tacit collusion won’t be feasible because mobile broadband is increasingly competing with landline broadband providers (like Comcast and Charter), and possibly even media companies (like Netflix and Disney). Further, they claim, T-Mobile and Sprint going it alone will each struggle to deploy a capex-intensive 5G network that can compete with AT&T, Verizon, Comcast-NBCU, and the rest, but the merged company will be a formidable competitor in TV and in consumer and enterprise broadband. Any prediction about whether the deal will be approved or denied is premature. This is a horizontal merger in a highly-visible industry and it will receive an intense antitrust review. (Rachel Barkow and Peter Huber have an informative 2001 law journal article about telecom mergers at the DOJ and FCC.) The DOJ and FCC will seek years of emails and financial records from Sprint and T-Mobile executives and attempt to ascertain the “real” motivation for the merger and its likely consumer effects. T-Mobile and Sprint will likely lean on evidence that consumers view (or soon will view) mobile broadband and TV as a substitute for landline broadband and TV. Much like phone and TV went from “local markets with one or two competitors” years ago to a “national market with several competitors,” their story seems to be, broadband is following a similar trajectory and viewing this as a 4 to 3 merger misreads industry trends. There’s preliminary evidence that mobile broadband will put competitive pressure on conventional, landline broadband. Census surveys indicate that in 2013, 10% of Internet-using households were mobile Internet only (no landline Internet). By 2015, about 20% of households were mobile-only, and the proportion of Internet users who had landline broadband actually fell from 82% to 75%. But this is still preliminary and I haven’t seen economic evidence yet that mobile is putting pricing pressure on landline TV and broadband. Antitrust review is only one step, however. The FCC transaction review process is typically longer and harder to predict. The FCC has concurrent authority with the DOJ under the Clayton Act to review telecommunications mergers under Sections 7 and 11 of the Clayton Act but it has never used that authority. Instead, the FCC uses its spectrum transfer review authority as a hook to evaluate mergers using the Communication Act’s (vague) “public interest standard.” Unlike antitrust standards, which generally put the burden on regulators to show consumer and competitive harm, the public interest standard as currently interpreted puts the burden on merging companies to show social and competitive benefits. Hopefully the FCC will hew to a more rigorous antitrust inquiry and reform the open-ended public interest inquiry. As Chris Koopman and I wrote for the law journal a few years ago, these FCC “public interest” reviews are sometimes excessively long and advocates use the vague standards to force the FCC into ancillary concerns, like TV programming decisions and “net neutrality” compliance. Part of the public interest inquiry is a complex “spectrum screen” analysis. Basically, transacting companies can’t have too much “good” spectrum in a single regional market. I doubt the spectrum screen analysis would be dispositive (much of the analysis in the past seemed pretty ad hoc), but I do wonder if it will be an issue since this was a major issue raised in the AT&T-T-Mobile attempted merger. In any case, that’s where I see the core issues, though we’ll learn much more as the merger reviews commence. I submitted comments in the Montana PSC proceeding and received an invitation to testify at a hearing on the subject. So last week I flew to Helena to discuss rural broadband programs with the PSC and panelists. I emphasized three points. Federal broadband subsidy programs are facing higher costs and fewer beneficiaries. Using FCC data, I calculated that since 1998, USF high-cost subsidies to Montana telecom companies have risen by about 40% while the number of rural customers served by those companies have decreased by over 50%. I suspect these trends are common nationally, and that USF subsidies are increasing while fewer people are benefiting. Wireless broadband is the future, especially in rural areas. “Fiber everywhere” is not a wise use of taxpayer funds and exurban and rural households are increasingly relying on wireless–from satellite, WISPs, and mobile. In 2016, the CDC reported that more households had wireless phone than landline phone service. You’re starting to see “cord cutting” pick up for broadband as well. Census surveys indicate that in 2013, 10% of Internet-using households were mobile Internet only (no landline Internet). By 2015, that percentage had doubled, and about 20% of households were mobile-only. The percentage is likely even higher today now that unlimited data plans are common. Someday soon the FCC will have to conclude that mobile broadband is a substitute for fixed broadband, and subsidy programs should reflect that. Consumer-focused “tech vouchers” would be a huge improvement over current broadband programs. Current programs subsidize the construction of networks even where there’s no demand. The main reason the vast majority of non-Internet users don’t subscribe to broadband is that they are uninterested in subscribing, according to surveys from the NTIA (55% are uninterested), Pew (70% are uninterested), and FCC and Connected Nation experts (63% are uninterested). With rising costs and diminishing returns to rural fiber construction, the FCC needs to reevaluate USF and make subsidies more consumer-focused. The UK for a couple years has pursued another model for rural broadband: consumer broadband vouchers. Since most people who don’t subscribe to broadband don’t want it, vouchers protect taxpayers from unnecessary expense and paying for gold-plated services. For years, economists and the GAO have criticized the structure, complexity, and inefficiency of the USF programs, and particularly the rural program. The FCC is constantly changing the programs because of real and perceived deficiencies, but this has made the USF unwieldy. Montana providers participate in at least seven different rural USF programs alone (that doesn’t include the other USF programs and subprograms or other federal help, like RUS grants). States can’t rewrite federal statutes and regulations but it’s to the Montana PSC’s great credit that they sensed that all is not well. Current trends will only put more stress on the programs. Hopefully other state PUCs will see that the current programs do a disservice for universal service objectives and consumers. Years ago it looked like the Obama FCC would make broadband deployment, especially wireless service and spectrum reform, a top priority. They accomplished plenty–including two of the largest spectrum auctions to date–but, under tremendous political and special interest pressure, FCC leadership diverted significant agency resources into regulatory battles that had very little upside, like regulating TV apps and unprecedented regulation of Internet services. Fortunately, the Trump FCC so far has made broadband deployment the agency’s top priority, which Chairman Pai signaled last year with the creation of the Broadband Deployment Advisory Committee. As part of those deployment efforts, Commissioner Carr has led an effort to streamline some legacy regulatory obstacles, like historic preservation and environmental reviews and the FCC will vote this week on an order to expedite wireless infrastructure construction. According to the FCC, somewhere around 96% of the US population has LTE coverage from three or more wireless operators, like Verizon, AT&T, T-Mobile, and Sprint. The operators’ job isn’t done in rural areas, but much of the future investment into broadband networks will be to “densify” their existing coverage maps with “small cells” in order to provide wireless customers more bandwidth. The order under consideration will bring some structure to regulatory timelines and procedures. This should save carriers on unnecessary regulatory overhead and, more importantly, save time. The order comes at a crucial time, which is why the prior FCC’s net neutrality distractions are so regrettable. Mobile broadband has huge demands and inadequate infrastructure and spectrum. According to studies, millions of Americans are going “mobile only,” and bypassing landline Internet service. Census Bureau surveys estimated that in 2015, about 20% of Internet-using households were mobile-only. (HT to Michael Horney.) That number is likely even higher today. The construction of higher-capacity and 5G wireless, combined with repeal of the 2015 Internet regulations, will give consumers more options and better prices for Internet services, and will support new mobile applications like remote-control of driverless cars and AR “smart glasses” for blind people. Hopefully, after this order, the agency will continue with spectrum liberalization and other reforms that will expedite broadband projects. The government’s “talking cars” plans failed. What’s next for the spectrum? In the waning days of the Obama administration, the US Department of Transportation (USDOT) proposed to mandate a government-designed “talking cars” technology–so-called DSRC devices–on all new cars. Fortunately, in part because of opposition from free-market advocates, the Trump administration paused the proposed mandate. The FCC had set aside spectrum in the 5.9 GHz band for DSRC technologies in 1999 but it’s been largely unused since then and these new developments raise the question: What to do with that 75 MHz of fairly “clean” spectrum? Hopefully the FCC will take the opportunity to liberalize the use of the DSRC band so it can be put to better uses. Since the mid-1990s, the USDOT and auto device suppliers have needed the FCC’s assistance–via free spectrum–to jumpstart the USDOT’s vehicle-to-vehicle technology plans. The DSRC disappointment provides an illustration of what the FCC (and other agencies) should not do. DSRC was one of the FCC’s last major “beauty contests,” which is where the agency dispenses valuable spectrum for free on the condition it be used for certain, narrow uses–in this case, only USDOT-approved wireless systems for transportation. The grand plans for DSRC haven’t lived up to its expectations (USDOT officials in 2004 were predicting commercialization as early as 2005) and the device mandate in 2016–now paused–was a Hail Mary attempt to compel widespread adoption of the technology. Last year, I submitted public interest comments to the USDOT opposing the proposed DSRC mandate as premature, anticompetitive, and unsafe (researchers found, for instance, that “the system will be able to reliably predict collisions only about 35% of the time”). I noted that, after nearly 20 years of work on DSRC, the USDOT and their hand-selected vendors had made little progress and were being leapfrogged by competing systems, like automatic emergency brakes, to say nothing of self-driving cars. The FCC has noticed the fallow DSRC spectrum and Commissioners O’Rielly and Rosenworcel proposed in 2015 to allow other, non-DSRC wireless technologies, like WiFi, into the band. These DSRC devices use spectrum in the 5.9 GHz band. The FCC set aside radio spectrum in the band for DSRC applications in 1999 based on a scant 19 comments and reply comments from outside parties. Despite the typical flowery language in the 1999 Order, FCC commissioners and Wireless Bureau staff must have had an inkling this was not a good idea. After decades of beauty contests, it was clear the spectrum set-asides were inefficient and anticonsumer, and in 1993 Congress gave the FCC authority to auction spectrum to the highest bidder. The FCC also moved towards “flexible-use” licenses in the 1990s, thus replacing top-down technology choices with market-driven ones. The DSRC set-aside broke from those practices, likely because DSRC in 1999 had powerful backers that the FCC simply couldn’t ignore: the USDOT, device vendors, automakers, and some members of Congress. So if the DSRC plans didn’t pan out, what should be done with that spectrum? Hopefully the FCC will liberalize the band and, possibly, combine it with the adjacent bands. The gold standard for maximizing the use of spectrum is flexible-use, licensed spectrum, so the best option is probably liberalizing the DSRC spectrum, combining it with the adjacent higher band (5.925 GHz to 6.425 GHz) and auctioning it. In November 2017, the FCC asked about freeing this latter band for flexible, licensed use. The other (probably more popular) option is liberalizing the DSRC band and making it available for free, that is, unlicensed use. Giving away spectrum for free often leads to misallocation but this option is better than keeping it dedicated for DSRC technology. Unlicensed is for flexible uses and allows for many consumer technologies like WiFi, Bluetooth, and unlicensed LTE devices. Further, because of global technical standards, unlicensed devices in the DSRC band make far more sense, it seems to me, in 5.9 GHz than in the CBRS band* (3.6 GHz), which many countries are using for licensed services like LTE. The FCC is currently trying to simplify the rules in the CBRS band to encourage investment in licensed services, and perhaps that’s a compromise the FCC will reach with those who want more unlicensed spectrum: make 3.6 GHz more accommodating for licensed, flexible uses but in return open the DSRC band to unlicensed devices. Either way, the FCC has an opportunity to liberalize the use of the DSRC band. Grand plans for DSRC didn’t work out and hopefully the FCC can repurpose that spectrum for flexible uses, either licensed or unlicensed. *Technically, the GAA devices in the CBRS band are non-exclusive licenses, but the rules intentionally resemble an unlicensed framework. Internet regulation advocates lost their fight at the FCC, which voted in December 2017 to rescind the 2015 Open Internet Order. Regulation advocates have now taken their “net neutrality” regulations to the states. Some state officials–via procurement contracts, executive order, or legislation–are attempting to monitor and regulate traffic management techniques and Internet service provider business models in the name of net neutrality. No one, apparently, told these officials that government-mandated net neutrality principles are dead in the US. as little as any phrase that the drafters of the Act could have used and still comply with the constitutional requirement that there be some standard to guide the administrative wisdom of the licensing authority. So nebulous a mandate invests the Commission with an enormous discretion and correspondingly limits the practical scope of responsible judicial review. The Commission’s majority opinion … is long, but much of it consists of boilerplate, the recitation of the multitudinous parties’ multifarious contentions, and self-congratulatory rhetoric about how careful and thoughtful and measured and balanced the majority has been in evaluating those contentions and carrying out its responsibilities. Stripped of verbiage, the opinion, like a Persian cat with its fur shaved, is alarmingly pale and thin. Every party who does significant work before the FCC has agreed with Judge Posner’s sentiments at one time or another. Which brings us to the Office of Economics and Analytics. Cost-benefit analysis has its limits, but economic rigor is increasingly important as the FCC turns its attention away from media regulation and towards spectrum assignment and broadband subsidies. The worst excesses of FCC regulation are in the past where, for instance, one broadcaster’s staff in 1989 “was required to review 14,000 pages of records to compile information for one [FCC] interrogatory alone out of 299.” Or when, say, FCC staff had to sift through and consider 60,000 TV and radio “fairness” complaints in 1970. These regulatory excesses were corrected by economists (namely, Ronald Coase’s recommendation that spectrum licenses be auctioned, rather than given away for free by the FCC after a broadcast “beauty contest” hearing), but history shows that FCC proceedings spiral out of control without the agency intending it. Since Congress gave such a nebulous standard, the FCC is always at risk of regressing. Look no further than the FCC’s meaningless “Internet conduct standard” from its 2015 Open Internet Order. This “net neutrality” regulation is a throwback to the bad old days, an unpredictable conduct standard that–like the Fairness Doctrine–would constantly draw the FCC into social policy activism and distract companies with interminable FCC investigations and unknowable compliance requirements. In the OIO’s mercifully short life, we saw glimpses of the disputes that would’ve distracted the agency and regulated companies. For instance, prominent net neutrality supporters had wildly different views about whether a common practice, “zero rating” of IP content, by T-Mobile violated the Internet conduct standard. Chairman Tom Wheeler initially called it “highly innovative and highly competitive” while Harvard professor Susan Crawford said it was “dangerous” and “malignant” and should be outlawed “immediately.” The nearly year-long FCC investigations into zero rating and the equivocal report sent a clear, chilling message to ISPs and app companies: 20 years of permissionless innovation for the Internet was long enough. Submit your new technologies and business plans to us or face the consequences. Fortunately, by rescinding the 2015 Order and creating the new economics Office, Chairman Pai and his Republican colleagues are improving the outlook for the development of the Internet. Hopefully the Office will make social welfare calculations a critical part of the public interest standard. Nationalizing 5G networks? Why that’s a bad idea. There was a bold, bizarre proposal published by Axios yesterday that includes leaked documents by a “senior National Security Council official” for accelerating 5G deployment in the US. “5G” refers to the latest generation of wireless technologies, whose evolving specifications are being standardized by global telecommunications companies as we speak. The proposal highlights some reasonable concerns–the need for secure networks, the deleterious slowness in getting wireless infrastructure permits from thousands of municipalities and counties–but recommends an unreasonable solution–a government-operated, nationwide wireless network. The proposal to nationalize some 5G equipment and network components needs to be nipped in the bud. It relies on the dated notion that centralized government management outperforms “wasteful competition.” It’s infeasible and would severely damage the US telecom and Internet sector, one of the brightest spots in the US economy. The plan will likely go nowhere but the fact it’s being circulated by administration officials is alarming. First, a little context. In 1927, the US nationalized all radiofrequency spectrum, and for decades the government rations out dribbles of spectrum for commercial use (though much has improved since liberalization in the 1990s). To this day all spectrum is nationalized and wireless companies operate at sufferance. What this new document proposes is to make a poor situation worse. In particular, the presentation proposes to re-nationalize 500 MHz of spectrum (the 3.7 GHz to 4.2 GHz band, which contains mostly satellite and government incumbents) and build wireless equipment and infrastructure across the country to transmit on this band. The federal government would act as a wholesaler to the commercial networks (AT&T, Verizon, T-Mobile, Sprint, etc. ), who would sell retail wireless plans to consumers and businesses. The announced goals are simultaneously broad and narrow, and at severe tension. The plan is broad in that it contemplates nationalizing part of the 5G equipment and network. However, it’s narrow in that it would nationalize only a portion of the 5G network (3.7 GHz to 4.2 GHz) and not other portions (like 600 MHz and 28 GHz). This undermines the national security purpose (assuming it’s even feasible to protect the nationalized portion) since 5G networks interconnect. It’d be like having government checkpoints on Interstate 95 but leaving all other interstates checkpoint-free. Just to be completely clear: the first version of the 5G NR standard, which is called "NSA" (Non-Standalone), by definition requires an existing 4G radio and core network. One cannot simply build out a complete NSA 5G network without having a 4G network already in place. The most implausible idea in the document is a nationwide 5G network could be deployed in the next few years. Environmental and historic preservation review in a single city can take longer than that. (AT&T has battled NIMBYs and local government in San Francisco for a decade, for instance, to install a few hundred utility boxes on the public right-of-way.) The federal government deploying and maintaining hundreds of thousands 5G installations in two years from scratch is a pipe dream. And how to pay for it? The “Financing” section in the document says nothing about how the federal government will find tens of billions of dollars for nationwide deployment of a government 5G network. The plan to nationalize a portion of 5G wireless networks and deploy nationwide is unwise and unrealistic. It would permanently damage the US broadband industry, it would antagonize city and state officials, it would raise serious privacy and First Amendment concerns, and it would require billions of new tax dollars to deploy. The released plan would also fail to ensure the network security it purports to protect. US telecom companies are lining up to pay the government for spectrum and to invest private dollars to build world-class 5G networks. 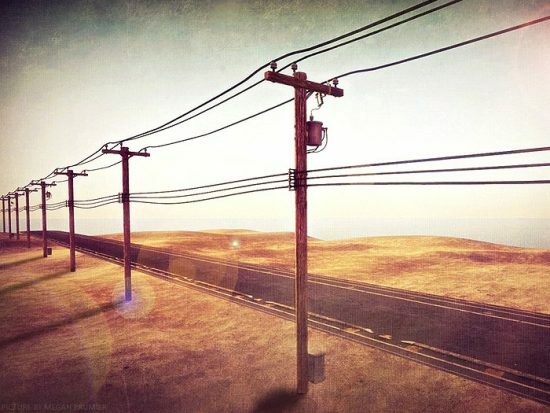 If the federal government wants to accelerate 5G deployment, it should sell more spectrum and redirect existing government funding towards roadside infrastructure. Network security is a difficult problem but nationalizing networks is overkill. Already, four out of five [update: all five] FCC commissioners have come out strongly against this plan. Someone reading the NSC proposal would get the impression that the US is sitting still while China is racing ahead on 5G. The US has unique challenges but wireless broadband deployment is probably the FCC’s highest priority. The Commission is aware of the permitting problems and formed the Broadband Deployment Advisory Committee in part for that very purpose (I’m a member). The agency, in cooperation with the Department of Commerce, is also busy looking for more spectrum to release for 5G. Recode is reporting that White House officials are already distancing the White House from the proposal. Hopefully they will publicly reject the plan soon.